In my previous two articles ‘What is research? : Role of parents and schools in child’s research attitude’ and ‘What is research? : Foundation of universities as research system’ I tried to explain how to design and develop two system: Child(future researcher) and University (research system). This article is a case study which will demonstrate what are the factors led IISc to win the race of research leader in India. This will be the last email in the series. Unlike other games, business is different because there is chance of win-win for both the players. Let us understand with whom company as an organisations plays with. You may be aware with all of players except complementor. Let me brief about it. A player is your complementor if customer value your product more when they have the other player’s product than when they have your product alone. An ancient Indian concept of residential facilities to students is best example of complementor. One important observation from ruins of ancient Indian universities is hostels for students. This provided protected environment for foreign students where only like minded people will be available. In modern day scholarships serve the purpose of complementor. Sometime having university itself serves the purpose of complementor in development. For example university founded in an university town some 100 years ago and now it has become town with all the facilities. Sometime it is possible a player may look like competitor but in fact he may be complementor. Traditional bookstores saw electronic publishing and Internet as competitors but in fact they were complementor. A McGraw hill study revealed that demand in print version grew too when it created electronic version of book. This is why almost all the publishers now have electronic stores and kindle version of books. Have you ever thought why government is so powerful? It is customer when buy goods and services e.g. medicine, armaments. Govt is supplier when sell oil and mineral rights, spectrum rights. Govt is competing with private business when opens market for private companies. Govt is complementor when provides basic infrastructure (roads, cities, hospitals), civil order, security. Apart from all of above govt has one more power which others don’t have, power to formulate and impose policies. Power of govt to frame policies put it in most dominant position among all of us. Our day to day business deal with govt and that is why I strongly recommend understanding of law and constitution on which govt function. This power of authority to change rule can put a player in very powerful position. For example few years back researcher was considered as good if published in higher Impact Factor (IF) journals. But in recent time many such journals started in India and developing countries and scientific bureaucrats from developed countries sitting in position of scientific policy making saw potential threat against their monopoly. Those bureaucrats devised new rule to maintain their monopoly: Science Citation Index (SCI). They mentioned SCI recognized journals have rigorous review procedure (How to define level of rigorousness. Rigorousness is relative thing!) and that is why it is more reliable. This is how they surpassed all the previous rules with this and subjugated researchers from developing countries. Irony is researchers and govts from developing countries are blindly following this SCI without giving a single thought on it. Researcher from developing countries have to face lot of trouble because they are playing the game setup and codified by developed countries and obviously it will be biased to benefit them. We are following it blindly without understanding intention. Note: A socialist concept is that ‘Govt is sole authority on everything’ while current Indian govt has opened its doors for PPP. It pleases me when I see someone saying “Lets make it together” rather than “I am the only authority to do it”. Students are university’s primary customers. Companies are customers when they want to hire their employees who are students in university. Govt is customer when commission research project to university. Faculties are primary suppliers of university who supplies knowledge. Universities compete with each other for students, faculties, and research funding. While universities are complementors in creating market for higher education. KG, primary, high schools complement universities because they provide trained students to university. 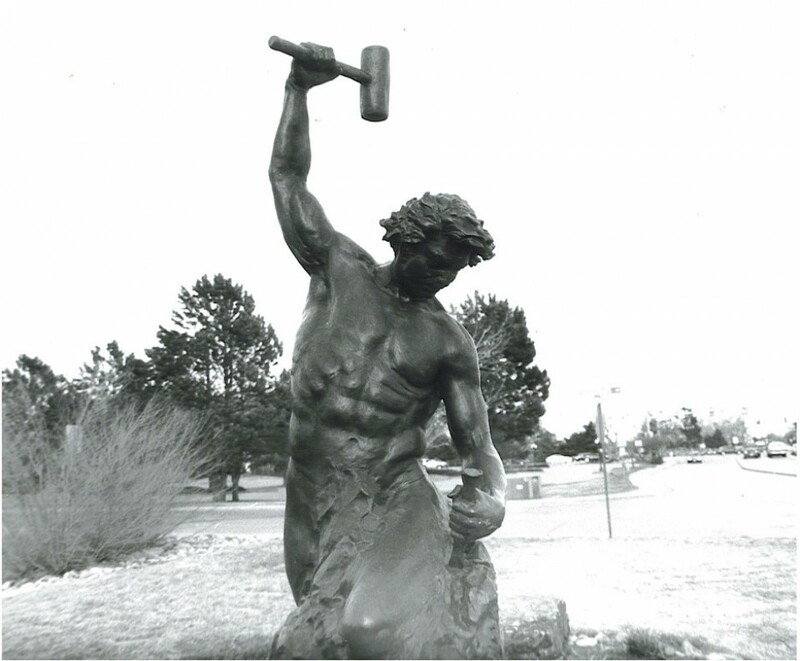 As outlined in my previous article on foundation of university as a research system I outlined what to do to make system immortal and stronger. IISc has self correcting mechanism through Senate, CoD meetings. It has one of the largest scientific library in India. It has world class faculties. It has world class course content and structure. It has quality facilities for students to conduct cultural activities of their interest. Since IISc is research system, who is in business of providing knowledge, it is important to understand in the context of game of business explained in above figure. As I mentioned, students are university’s primary customers. IISc has maintained its standard of admitted students’ quality through rigorous admission procedure. Students are given hostel, mess, auditorium etc facilities. Students are given freedom to explore their area of nonacademic interest. A proper feedback and grievance system motivated student to continue research at IISc. Parents are paying fees and they are also customers. Quality of courses offered, quality of laboratories, quality of library size are satisfactory return of their money. Timely completion of research projects with quality built trust among funders and developed ‘IISc Brand’. Quality of faculty is the best in India and directors were active in recruiting best faculties. Also, faculties are given facilities, freedom to be with IISc. The previous directors of IISc have always emphasized on quality of faculties recruited. Own supplier database and stores helped researchers availability of raw material in IISc itself. IISc has always maintained complementing approach towards competitors rather than competing. IISc played key role in development of its own complementors e.g. dept. of AE IISc palyed crucial role in formation of NAL in 50s, IISc played supportive role in progress of RRI, IAS, ISRO etc. This created a Research Network in Bangalore. Local employment complemented IISc. Dual career couples become common since there are plenty of software industries and other industries in Bangalore where spouse can work. A freedom to students to organise cultural activities is also complement to IISc. Core foundation principals of IISc are of Indian university system. There are three important aspect of university namely quality of students admitted (customers), quality of faculties (suppliers), and facilities to students (complementors). Proper emphasis on all of these gave it advantage over other universities (competitors). I think there were important factors which promoted Jamsedji to set up IISc in Bangalore. At that time Mumbai, Culcutta, Madras (all these universities were funded by state) and other major cities already had universities and there is no point in competing with them. Another factor could be because Bangalore was one of the summer headquarter of Britishers. Founding university in Britisher area is demonstration of Indian prowess. Maharaja of Mysore was willing to donate land which solved the problem of availability of huge land required to setup institute. Trained students from IISc joined industries in Bangalore city and right now Bangalore has become ‘Research Lab of India’ because of having many govt and private research centers. So, contribution of IISc in India’s progress is significant. The factors why IISc has won the race of research education in India are summarized below. Climate and location of Bangalore city. Proper balance between players like Customers (Quality of students admitted), Suppliers (Quality of faculties), Complements (hostels, auditorium, research network, pension after scholarship ends, Research Associateship). Playing role in development of its own complementors e.g. RRI, IAS, NAL, CPRI, ISRO etc. Creating complementing/supporting approach towards other research institutes rather than competing. Smartly implementing ‘System Fundamentals’ in institute. Maintaining and strengthening institute assets like laboratories, library, course content. Openness to promote interdisciplinary research. I think IISc has built itself as a research leader and not bureaucrat. As leader think about for his followers first, IISc has always thought about her followers first i.e. freedom and independence to faculties and students. Researcher can’t do proper research if he is dissatisfied in personal matter and freedom is most important personal matter. We all would like to be free and independent! ઝબકારો: Bureaucrats think about executing orders issued by system while leader think about people for whose benefit system is designed. Bureaucracy born since when governance born while leadership was always there since civilizations; Ram, Krushn, Mahavir, Buddha, Moses, Jesus, Muhammad, Guru Nanak. We love and follow all of them because they have always thought about us. I want to share my good experience with India Post. I wanted to send luggage weighing 30 kg to my home. I contacted some packers and movers available in Malleshwaram and the range I received was ₹ 6000 to ₹ 9500. I read about Logistic Post (LP) when I visited post office. I inquired about it with a person sitting on window and he told me LP may be inconvenient to you and I can send through Registered Parcel amounting me ₹ 1050. Only problem was it has maximum limit of 20 kg per consignment. I have to pack luggage in 2-3 consignments and take to post office. Somehow, I got contact details of LP through Karnataka Post website and they told me they will charge ₹12 per kg and no limit on weight. Officials told me I have to pack luggage myself, preferably 20 kg per consignment, no problem if I can’t. LP sent a person to my hostel and carried luggage in post vehicle. There were two payment options: same person may come next day with receipt and you may pay to him, or you may go to nearest office of LP and pay there. I found my luggage weighed 55 kg and total amount I have to pay was ₹ 2545. It could have cost me within ₹ 1000 if I was living in city where LP has warehouse. I had to pay ₹ 1500 extra because my hometown is away from nearest LP warehouse and they have to send special vehicle to my home. Luggage transfer through LP will be cheaper if you live in bigger city. Parcel Post: Registered Parcel and Unregistered Parcel. Registered Parcel: Max. 4 kg. Unregistered Parcel: ₹ 19 for first 0.5 kg and ₹16 for subsequent 0.5 kg up to 20 kg. ₹ 12 per kg, no limit on weigh. Many students (mostly M.E./M.Tech. students) vacate their hostel every year between the months of May and July. Below is contact detail of concerned authority in LP if Students’ Council (SC) want to facilitate this service for welfare of students. Logistic Post, Karnataka Region, Bangalore. There are three ways to transport goods; sea, land, and air. Ratio of their cost is 0.5:1:1.5. This means cost of shifting X kg luggage up to Y km distance will be ₹ 0.5Z via sea route, ₹ Z via land route, and ₹ 1.5Z via air route. Indian Railway (IR) is biggest provider of logistic service in India and all other logistic networks for longer distance via road are somewhere linked to it. I also inquired with IR. It would have cost me ₹ 10 per kg but only problem was I have to pack and take it to major railway station in city (Bangalore Central Railway Station in Bengaluru). IR will send luggage to nearest major railway junction and won’t provide service to smaller junctions. Customer has to make his own arrangements to shift from major junction to his destination. PS: The goods reached my home within 6th day. There was no damage to goods and it was in good condition. Research is majorly devided in two paths; Forward path and Parallel path. Forward path requires to move ahead in your research. New stages, new modules are learned in this pathway. To sum, a entire new knowledge is obtained. If student and guide are expert than publications can be fetched. In parallel path something is already there and you need to apply it. Some applications, alternate techniques are developed in these pathways. There are lots of scope for publications and patent in this pathway because it is already developed and some base available which will augment research process. Let me explain it from my research work. Many things have two categories: giver-taker e.g. money, book, advise etc. But research is not like that. It has only two categories: Research and Researcher, and there is no such term like Research giver and Research taker. This means both faculty and student are researcher/learner. Faculty and student can be smart or dumb giving 4 (22=4) possible ways. The best combination. Faculty has ideas and student is also smart enough to execute his plan. Faculty knows how to harness power of Student. This kind of combination is quite possible. Do you know what is minimum requirement to be recognised as smart? You should be practical and this means in minimum case you don’t allow someone to blame you. Faculty is smart and he knows how to get work done from student. Faculty won’t stop Student’s degree though student is more dumb because by doing this Faculty is not going to gain anything except his ego satisfaction. Contrary, there is a scope that student may excellent in life and may be helpful to faculty in future. Another minimum requirement to be known as smart is you find your own ways to get out of problems. Student is smart enough to know that he has to progress in life and has to find his own way. Do something and show to Faculty and get work move on. This kind of students are rare. Most dangerous combination. Both don’t know what is happening. Faculty is not practical and bring his ego why student is not working while student don’t know what to do in research. It is most common case in academic research. My research is numerical simulation of detonation combustion of coal particles. Normal combustion process is described in figure. 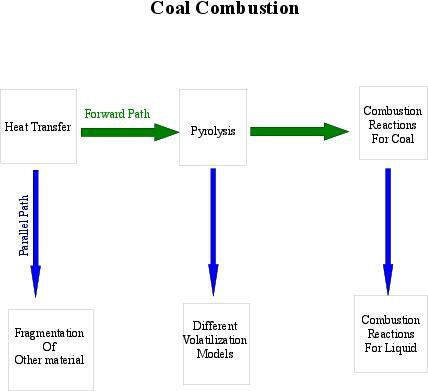 Coal combustion majorly divided in three steps; Heat transfer, Pyrolysis, and Combustion reactions and each step is worth 1-2 PhD students (numerical and experimental). Detonation combustion will be parallel path because it is combustion only but with different technique. My guide’s PhD thesis was in non premixed combustion so he already knew each steps. The detonation combustion will be parallel path for my guide but for me it will be forward path because I knew nothing about combustion except some fundamentals. I learned entire combustion process from fundamentals. In normal combustion, fuel is burned in normal conditions like in power plants, furnaces, forging plants etc. Detonation combustion will be different technique to burn coal. Detonation combustion will be application of the normal combustion. What is forward path in my research? I studied primary fragmentation which requires heat transfer and pyrolysis to be studied. Study of coal combustion ends with combustion reaction. The step heat transfer is different from pyrolysis and pyrolysis is different from combustion reactions. That is why this is forward path since each module is different from each other. I learn something deeper. Because it is forward path and nothing prior is known, I shall take more time to understand subject. What is parallel path in my research? Consider combustion reaction of liquids. If I know how to model coal combustion reactions then it will be easier for me to model combustion reactions for liquid or gas. Process is same and only difference is in modules. Study of liquid combustion reaction could be considered as application of coal reactions studies since I already know many of reactions. This will fasten my research and it will be easy for me to fetch papers. More papers means more chances of faculty to be promoted. This path is best for faculty because more papers and more students can be graduated since faster process. I can pursue study of combustion reaction in my postdoctoral studies. I can apply this methodology for the study of other type of fuels namely liquid and gaseous once I know all the three core steps of combustion process. I can guide other PhD students to study detonation combustion of liquid and gases. I can develop new hybrid fuel which will be mixture of either coal, petrol, CNG and apply detonation combustion technique on it. As shown in figure, the parallel modules are worth M.Sc. (Engg.) topics. I can guide at least 6-7 master’s student and 3-4 PhD students. I can say I have expertise in my subject after guiding these many master’s and PhD students and spending 20 to 25 years in research because within this I may thoroughly understood each and every corner of my topic. What are pros and cons of both paths? It gives student an opportunity to learn new modules. It adds knowledge. In initial stages, it is advisable to students if they learn as many things as possible. No preceding base available. It is uncertain solution will be obtained. Both guide and student are not aware with what will come next. Guide support could be minimal. Attention spent in understanding each modules. Lesser attention available to fetch papers. Well set problem and understanding available. Easily attendable and papers can be fetched. Preceding base available and module is understood thoroughly. One can apply it to develop new machine. Patent is possible. More papers and more patents will fetch faster promotion to faculty. Student works as guide says. This kind of students require the post doctoral most. It is two player game. Let us see the players and their strategies. The ranking is given on the scale of 1 to 4 with worst being 1 and best being 4. 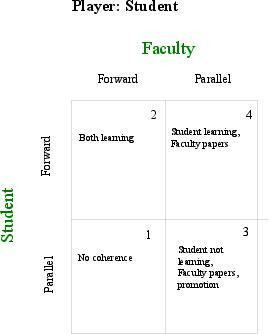 Faculty is forward path and hence learning while student interested in parallel path. There is no coherence between both. Student is innovative but can not get help from faculty because faculty is in learning phase. There are chances this kind of research will get prolonged duration and may not finish in time. Both are learning. Better than previous where score is 1. Student is working hard but faculty is also in learning phase so won’t be knowing loopholes in research where papers can be fetched. Student also will spend more time. That is why not higher point. Faculty knows problem and has some knowledge. Students does as faculty suggests. Student would like to follow this strategy because faster degree and papers will help him in getting job and settle down easily. Ready made problem available for student. Less marks because student is learning application rather than concepts. This kind of students require post doctoral to improve their knowledge. Student is learning and publishing some papers. He will experience the thrill of research via this strategy. New learning, new adventure, new discoveries will give him satisfaction that he learned something. Faculty is also getting promotion. This is best combination since both are getting what they should ideally acquire. This is the worst case because no coherence between both. Faculty doesn’t know and want to explore the subject while student is looking for application. Faculty want to learn through student but he will feel that student is living in some alien world and he is messing up with unnecessary stuffs. Both learning. Comparatively better than point 1 because atleast both are gaining something. Faculty will be happy because he is also learning but learning only won’t get him promotion right? He requires papers and patents to promoted. So that is why better than point 1 but not so high. It is application of the previously know topic to faculty but with forward research path. Ethically faculty should follow this path because he should look at what student is learning rather than his promotion. Usually faculty doesn’t think this because greed for promotion will drive him to follow this strategy. If I explain this with my research then, detonation combustion of coal. This involves all the three modules to be studied but with application of detonation. Student doing as faculty guides. Papers will be fetched. Faculty would like to follow this strategy because he is getting quick PhDs with papers and patents. 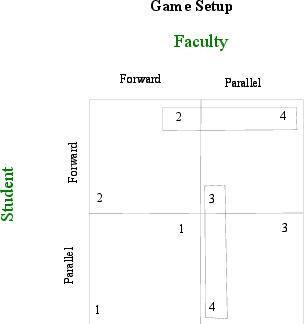 From figure, it can be seen that student’s forward path points are more than his parallel path points. This means student has dominant strategy of forward path because he is gaining knowledge and publication both. On other side, faculty’s parallel path points are more than his forward path. This means faculty has dominant strategy of parallel path because he is able to graduate more students in shorter time duration with many publications and patents leading to more chances of promotion. 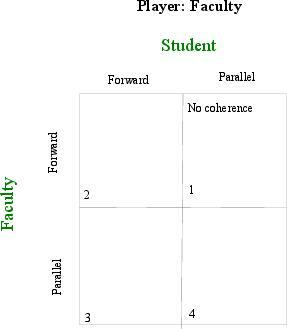 Game setup and strategies shows that best research methodology should be student given forward path and faculty given parallel path. What does it mean? It means faculty should give the topic which he already knows and it should be its application. While student will work on that application but he will learn new modules in it. He won’t find problem because faculty knows probable pathway and he can easily guide student. This type of situation usually arises with experienced faculty. Faculty has well established his lab and he knows core concepts of the subject. He has some patents, publications and he can easily guide students. It is not the case with naive faculty because he is learning something and that is why students suffer a lot working under new faculties. Subhramaniam Swami is immature politician. He wrongly brought Sonia’s citizenship issue in 2004. She is voter and should be allowed to become PM. She did not become PM because there was public protest. (I don’t remember people protested in streets??) Take example of Obama. He is foreigner but he is good activist. He: (proudly) I want to educate voters in North Bangalore. There is serious problem of water, sanitation. (Happily showed me message with INC candidate name). I think people should bring this issue to voter notice. Me: You are misunderstanding the elections. Me: Hero, you do not know how governance works. This is parliament election and elected candidates majorly supposed to do national level policies. Water and sanitation comes under MLA work who are mainly supposed to take care of their own constituencies. He: Okay. What is that? Me: Take example of water problem. Suppose we want to construct dam on Sutlej or Brahmaputra river. We can’t directly build it because two countries involved in it and may cause international dispute. Hence it is very serious issue. Who will deal with such case? The MPs you elected will solve such disputes in parliament. Solution will be effective when PM has full majority. Water problem in your region comes under corresponding MLA. North Bangalore water problem is even different case. It comes under BBMP and corporator has to look for it. This is what problem with people. They do not know how system governs but still want to join politics. Till the date 2 professor received Bharat Ratna, 3 professors receved Padma Vibhushan, 5 professor received Padma Bhushan and quite a few professors received Padma Shree. Let go through it. There is long list for it. I am summarising what I know. Interesting fact is till the date only 4 scientists have received Bharat Ratna and all the 4 have connection with IISc. NOTE: There are many students from IISc who received above awards. I am restricting myself to IISc faculty only otherwise list will become too long.